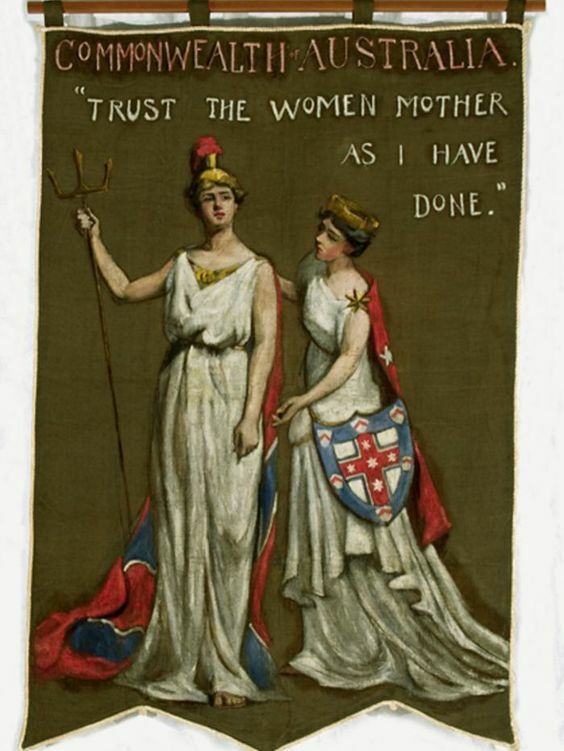 The role of Australian women in the British debate is depicted in the suffrage banner, 'Trust the Women Mother, As I Have Done', which was painted by Dora Meeson. This banner was painted in London and carried by Australians in a street rally held there on 17 June, 1911. In 1988 the banner was presented as a bicentennial gift to the women of Australia, and is now on display in Parliament House in Canberra.